Christmas is definitely the season for decorating! Christmas decorating ideas are always a great way to prepare for the holiday season, direct creative juices, and an ideal way to spend time with friends and family members who like to decorate also. Christmas decorating ideas are truly limited only by your imagination as you can decorate for Christmas on just about any budget and with a variety of materials. Whether it’s indoor or outdoor decorating ideas, there are a lot of unique and easy things you can do to make your home much like the North Pole, both inside and out. Christmas decorating should be fun, and in the spirit of the season for sure! Great Christmas decorations have the ability to make the biggest scrooge feel happy and even hum a carol or two when no one is looking! Decorating for Christmas is a pivotal time for all Christmas lovers, and sets the tone for the rest of the season. Whether you have no decorations because you’ve just moved out on your own, or you need to add some new decorations to your old stash this is the year to do it. Why wait? Whether you prefer classic decorating items such as stockings, garland on the banister, ornaments on the tree, and mistletoe above the door or some of the newer Christmas decorations such as outdoor inflatables, net lighting, and tree wraps there is something for everyone. You can really go wild creating the perfect Christmas scene right in your own living room or yard. New lighting for indoors and out has made Christmas decorating a breeze if you want it to be. Of course, the first step to decorating is choosing the type of tree you’ll have. You can choose between the wonder of a real tree, or go for an artificial tree. Artificial trees have really improved looking more authentic than ever before. Will you string your own lights, or buy a tree that is pre-lit for you? Choosing ornaments for a tree can be a complicated matter too! Will all your ornaments match, or do you like the look of various ornaments? You can take your indoor Christmas decorating ideas into just about every room of the house. Many retail stores and catalogs even sell Christmas themed toilet covers! Candles, trinkets, and lighted decorations for the windows are some easy Christmas decorating ideas for inside your home. Bringing the Christmas spirit into your home can be as easy as putting up a few decorations. Christmas decorating ideas for the outdoors have really taken off over the last few years. A new trend is character inflatables that are easy to use, require no assembly, and are a perfect decoration for someone who is looking for something quick, easy, and highly decorative. Most retail stores carry these during the holidays and they are relatively inexpensive when you consider one or two will decorate a yard on their own. Net lights, rope lights, projectors, and ground cover lighting are more Christmas decorating ideas that can really make a house shine with a little bit of imagination and creativity. Thinking outside the box will have the neighbors in awe of your decorating skills! Christmas decorating ideas can also be turned into crafts and little gifts to give to friends, family, and neighbors to help spread Christmas cheer. A trip to your hobby or craft store will inspire you to create some wonderful things to decorate your own home with, or give to others. 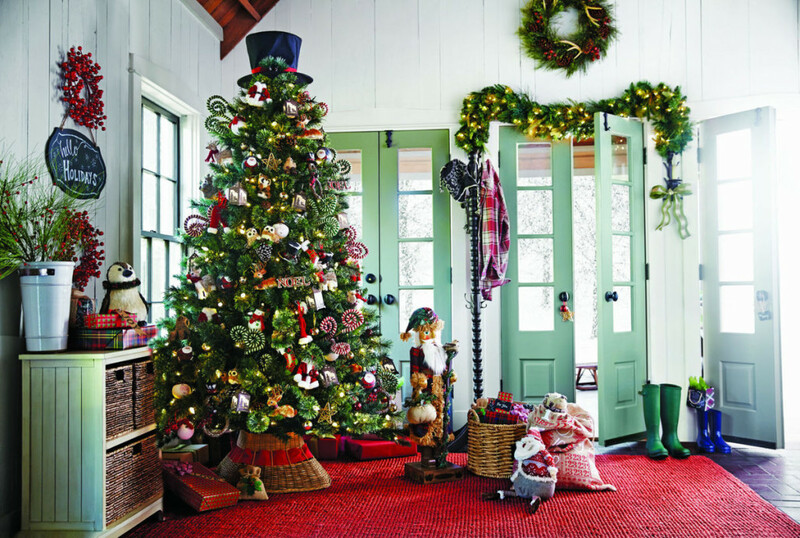 Christmas decorating can fit just about any budget, and these ideas can be as quick and simple or as complex as you’d like them to be. Decorating ideas turn the holidays into a time for decorating, creating, and giving!